How do business conditions differ from one country to the next? 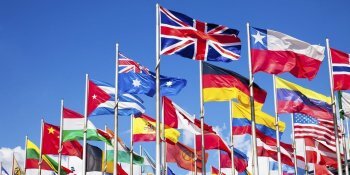 Business is more global than it's ever been. And with every passing year, competition between different organizations in different countries is likely to become ever more intense. For us as consumers, this is great! It creates a downward pressure on prices that benefits everyone. However for us as businesspeople and employees, it creates a strong need for ever-increasing efficiency, innovation, and intelligent deployment of limited resources, if we're to be competitive in this global market. For organizations to deploy their resources effectively, they need to understand how global competition is likely to play out. An important part of this is understanding how the business conditions in one country differ from those in another country. This is the subject of "Porter's Diamond." On one level, this seems a topic suited only to the boardrooms of large multi-national conglomerates. However, on another level, this is an issue that all organizations, and all individuals, have to consider as they think about how they'll succeed in this fast-changing world. Firm (or organization) Strategy, Structure, and Rivalry. In addition, Porter proposed that the four key elements all influence each other, and that they are all also affected by Chance and by Government Policies. This is shown in figure 1 below. From "The Competitive Advantage of Nations," by Michael E. Porter. Copyright © 1990 by Michael E. Porter. Reprinted by permission of Free Press, a Division of Simon & Schuster.